The Craftsman lawnmower I purchased this summer is nearly finished and running absolutely great. I still need to finish the seat and get all the vinyl cut for the Craftsman logo’s as well as the dash information. Next summer I will start the process of converting the lawnmower to EFI and possibly electronic ignition as well. I am not 100% sure as to what will be controller the lawnmower but it will likely need to be something a little more powerful than an Arduino. Even the Arduino Mega will likely not have the processing power or memory storage needed for the project but it should work out to be a great proof of concept and learning tool. 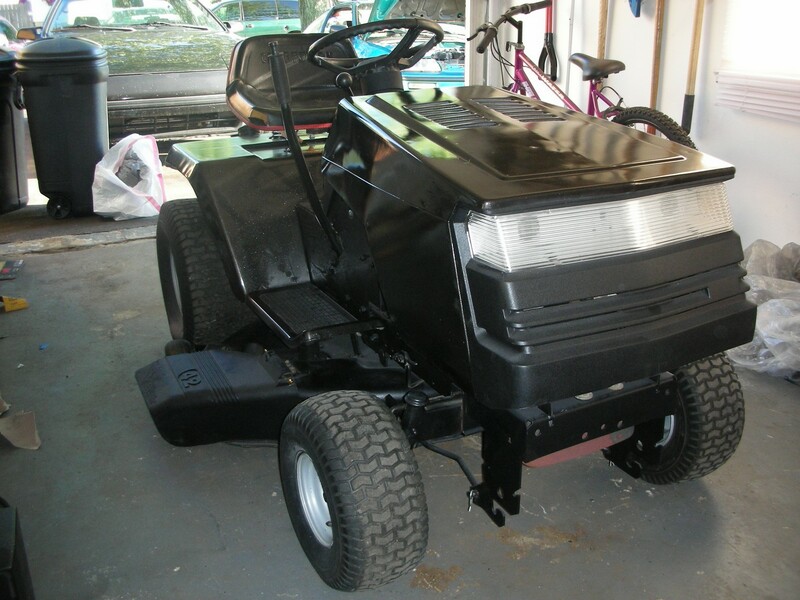 Check out the lawnmower and build progress in the Automotive section. Hi there, I do alot of Arduino and Autoit stuff, Thought you would get a kick out of my project. I also have been working on a 7″ LCD dash display for my boat that I have installed a Mazda RX-7 motor in connected to a jetdrive. Basicly sending sensor data from the Arduino to Autoit displaying it on guages on the LCD screen. If you would like the schematic and arduino code for the EFI lawnmower, let me know and I can e-mail it to you. Yep, seen that. I have aspirations of something bigger 🙂 muhahaha but its a back burner project so no rush on it. I will lay out a game plan soon to give a better idea of my end goal and goals I would like to meet in between.